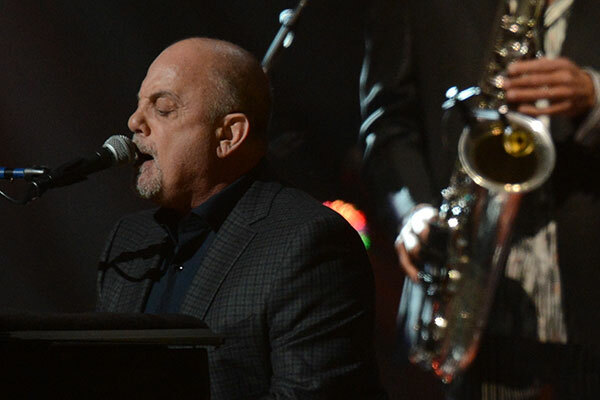 Billy Joel is giving back. The "Piano Man" singer is auctioning off a personalized Steinway & Sons baby grand piano to raise money for aspiring music students. He'll also autograph the keyboard's protective covering once the auction ends on April 2. The charity, Ten O'Clock Classics, is a non-profit organization which provides music lessons and instruments for school children. Right now, there are six bids with the current bid being $19,500. See the auction here. In 2009, Joel also auctioned a baby grand for a music program at Mount Carmel-Holy Rosary School in East Harlem, New York. For Joel, keeping music programs alive is something that's very close to his heart. "Why do musicians give so much time to charitable causes?" he once said. "The most humanitarian cause that we can give our time to is the creation and performance of music itself."